Charlottesville has joined the ranks of the first 50 localities in the country to receive a SolSmart designation, and it is the first in the state of Virginia to earn this recognition for solar-friendly communities. 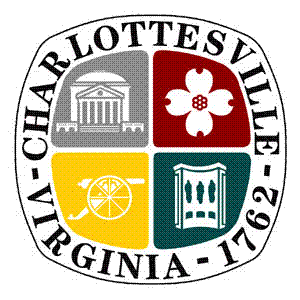 “I am proud that Charlottesville has been recognized as the first in Virginia to earn a SolSmart designation. The City’s recent accomplishments in the SolSmart program will benefit everyone by making locally-sourced clean energy more accessible and affordable. We will continue our work in the SolSmart program to support solar energy development in our town that will create jobs and help protect our environment,” said Kathy Galvin, registered architect and Charlottesville City Councilor. Achieving the SolSmart designation is a signal that the community is “open for solar business” and wants to attract solar industry investment and generate local jobs. In order to be designated, a community must take action to encourage solar development and to reduce solar “soft costs,” which are non-hardware costs that can increase the time and money it takes to install a solar energy system. The City’s efforts to reduce these soft costs by examining its planning and zoning, permitting and inspection, and engagement with the community will lead to savings that are passed on to consumers. “We are establishing Charlottesville as a hub for renewable energy, and the City has been a great partner in supporting local solar energy development. Earning the SolSmart designation sends the message to the solar industry that this is a place they want to do business,” said Devin Welch of the recently launched Charlottesville Renewable Energy Alliance (CvilleREA). In order to achieve the Bronze level designation, Charlottesville earned credits for its actions, such as installing solar energy systems on several City facilities, hosting Solarize campaigns that offer community members cost savings on solar installations, and offering financial incentives for property owners that install solar energy systems in the city. The City also recently streamlined the solar permit application process and provided safety trainings for its Fire Department about solar photovoltaic systems. Reaching the SolSmart Bronze designation is a strong step forward towards the City’s ultimate goal to achieve the SolSmart Silver designation by the end of the summer. In order to rise to the next tier, the City will continue to take actions to encourage local solar development and reduce soft costs, such as clarifying zoning code and offering further staff trainings related to solar. The City was previously recognized as one of the nearly 30 communities nationwide that committed to the SolSmart program as an “Early Adopter.” In February, Charlottesville and Albemarle County were selected together in a competitive process as one of eleven host communities nationwide to be granted a program-funded SolSmart Advisor. The Advisor has been working full-time to provide expertise and dedicated support to achieve SolSmart designation and to encourage solar energy growth locally.